Mobility. Maneuverability. Maintainability. 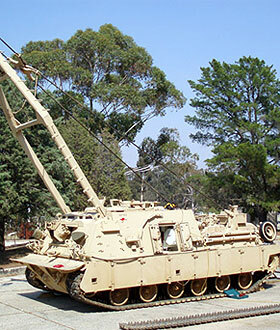 General Kinetics suspension solutions for Tracked Military Vehicles provide the speed capabiliy, agility and durability principle to the combat mission. 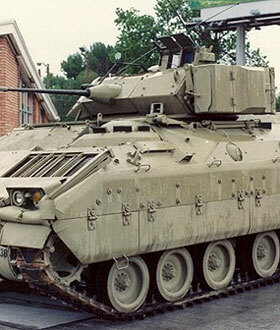 Whether the vehicle is main battle tank, armored personnel carrier or amphibious assault vehicle, General Kinetics suspension can support the mission. 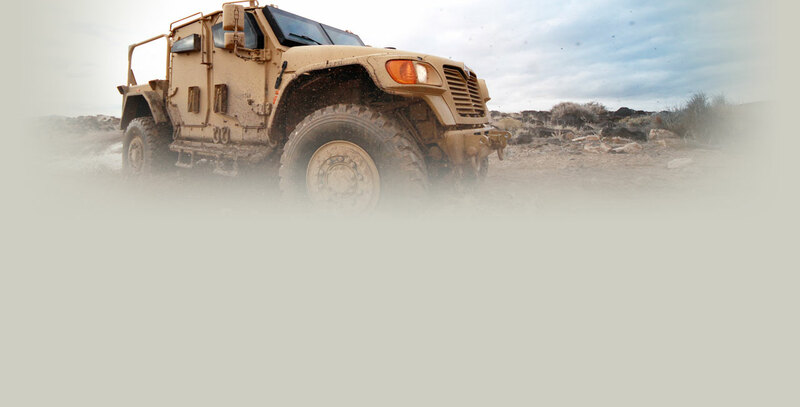 In all type of terrain, our damping solutions provide the mobility, reliability and performance critical to survivability, operational readiness and ultimately the decisive edge in combat. Our portfolio of commercial technology passive and semi active damping systems are capable of improving the performance of track suspensions to exceed vehicle mobility targets and speed over terrain. Whether your vehicle requires a damper to work with existing springs or a strut, coil over hydropneumatic damper, General Kinetics has the solution. Passive dampers can be configured with integrated end stops or position sensitive damping to further extend performance. Hydropneumatic struts offer the spring and damper functions in a single unit. 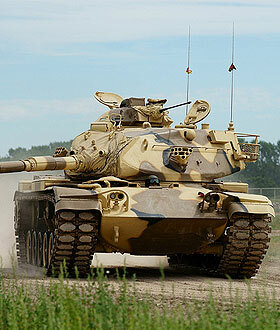 General Kinetics track band tensioners complete the system and improve track life. If additional performance and vehicle dynamics control is needed, General Kinetics Active Shock brand semi active dampers can solve the problem with technology, performance and reliability not seen in the industry. Optional ride height adjustment systems are also available.